This is the final area of .flow, accessed by collecting all the Empty Boxes as Rust. When in .flow, take the elevator. It will start failing and fall - as the doors open you will see "rust" written at the top in blood. Go through the dark doors and into a white room. Go down the hall and as you do the Fetuses will attack. 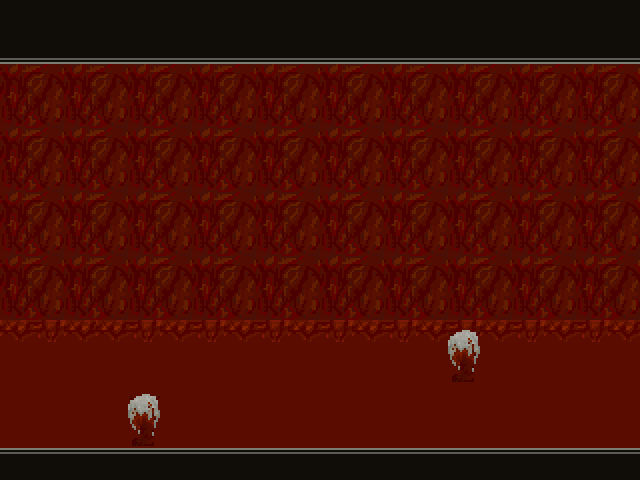 As you go on the corridor becomes more and more bloody and corrupted. The Fetuses will keep attacking and Rust will become more and more decayed. Eventually the corridor is fleshy and alive, with white things growing out of the floor. The final door leads to a room where Demon Sabitsuki is. You cannot exit the room except by killing her. Afterwards, you will be transported to the real world, waking up in bed. The computer no longer works, and any blood or effects from the Erosion Counter are now gone. You can go outside and witness the final ending. Take the elevator in Sabitsuki's room after getting all three Empty Boxes. You have to clear this area every time you want to see the True Ending. Rust's theme plays in the background of this area. You can hear a heartbeat in the very last room, and the theme is at a much lower pitch than the other rooms. 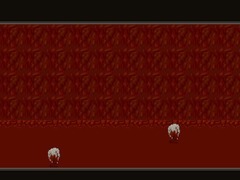 It probably represents Sabitsuki's or Rust's core, due to the final room resembling a body, and Demon Sabitsuki in the room after it.